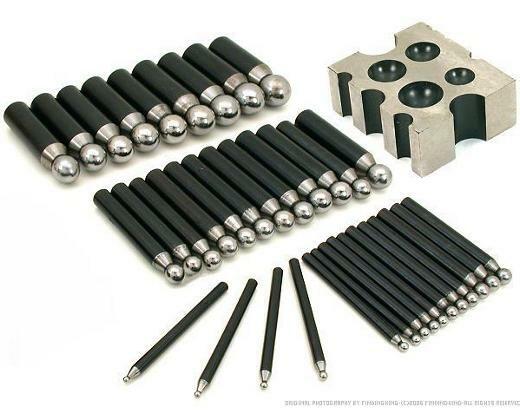 Steel Doming Punches & Block from Phoenix Jewelry Supply. For Jewelers, Watchmakers and Metalsmiths, Metal Working & Shaping, Forming & Chasing Metal. The depressions have a smooth finish that are great for shaping metal. Made from high carbon tool steel with a Rockwell hardness of 45 HRC. The half spheres and half cylinders are precision machined and hardened.